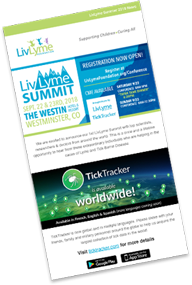 The Lyme Test Access Program is a nationwide patient assistance program to provide assistance for initial Lyme-related lab tests to patients who demonstrate true financial need. LymeLight Foundation provides grants enabling eligible children and young adults through age 25 with Lyme disease to receive proper treatment and medication. Patient assistance programs are run by pharmaceutical companies to provide free medications to people who cannot afford to buy their medicine. RxAssist offers a comprehensive database of these patient assistance programs. This is a Patient Assistance Programs (PAPs). Programs offered by pharmaceutical companies to help those most in need gain access to their medications at no or low cost. The Partnership for Prescription Assistance helps qualifying patients without prescription drug coverage get the medicines they need through the program that is right for them. The Patient Advocate Foundation (PAF) Co-Pay Relief Program (CPR) currently provides direct financial support to insured patients, including Medicare Part D beneficiaries, who must financially and medically qualify to access pharmaceutical co-payment assistance. A program helping people get prescriptions at a much lower price.